Chandelier Installation Make a statement…. chandeliers enhance any setting with distinctive charm and inviting light. A chandelier instantly makes an space appear that much more sophisticated. Crystal light fixtures are also acknowledged for their health benefits. 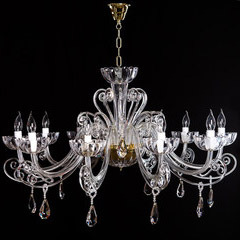 In the realms of Feng shui, it has been known that the strategic installation and use of modern chandelier pieces that hold crystal stones could help scatter positive energy that induces overall health wellness. But installing a chandelier isn’t like track lighting or recessed lights. For one thing, chandeliers change the orientation of light, coming from within the room, rather than from a wall. Also, chandeliers are a serious choice in interior decor. Let’s face it: nobody can ignore a chandelier. Don’t make the mistake. Electrical Duties is an experienced lighting and electrical professional. We can install a chandelier with one crystal or one with 1,000 tiny crystals.We can help you marry your choice of chandelier with an existing or future interior design theme to get the perfect fit. Rest assured, your chandelier isn’t the first we’ve installed in a home. Contact Electrical Duties, we can help you!